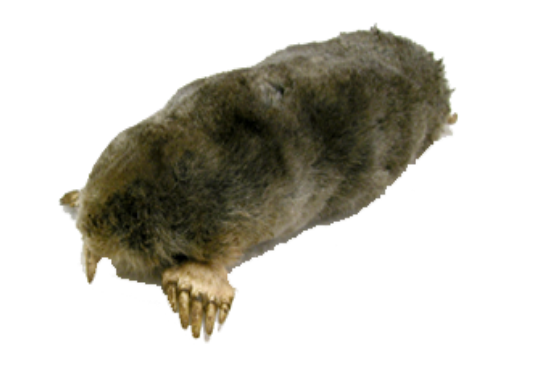 Because of specialized bone and muscle construction, moles can exert a lateral digging force equivalent to 32 times its body weight. As a comparison, a 150 lb. man would be able to exert a 4,800 lb. lateral force. 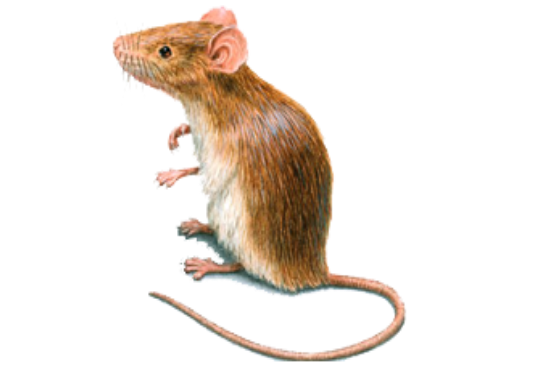 Mice are generally much smaller than rats. Mice can squeeze through holes slightly larger than a pencil eraser. They have proportionally smaller ears and smaller hind legs than rats. 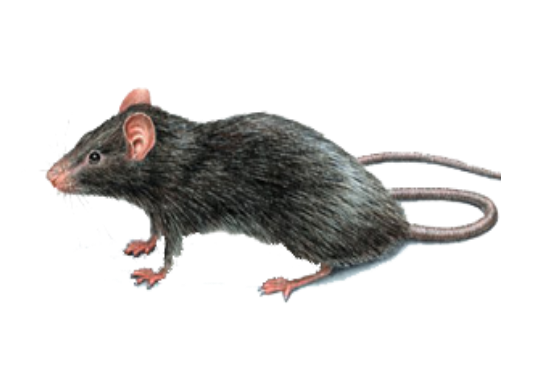 The Norway rat is a destructive pest found in urban and suburban neighborhoods. These rodents eat and contaminate food, damage buildings and other property by their gnawing and burrowing, and may spread diseases that affect people and pets. 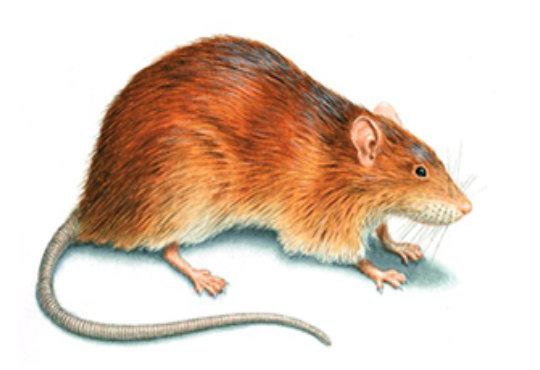 This rat is larger than a mouse and has proportionally smaller ears and bigger hind feet. Black or brown, 7 – 10” long, with a long tail, large ears and eyes, and a pointed nose. Body is smaller and sleeker than the Norway rate. Fur is smooth. 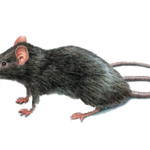 Both the Roof Rat and the Norway Rat are the most common domestic rodents in this area. 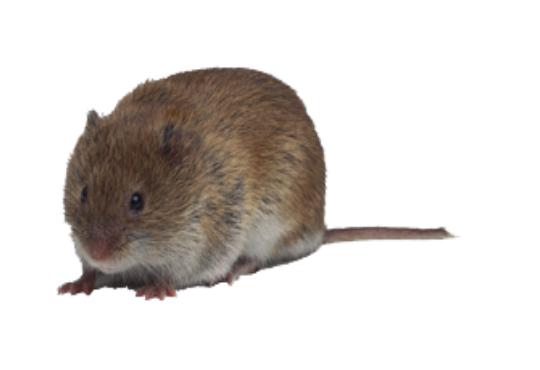 A Vole is a small rodent resembling a mouse but with a stouter body, a shorter hairy tail, a slightly rounder head, and smaller ears and eyes. Multiply 5 – 10 times a season with a lifespan averaging 12 months.